One company that has been working on 3D technology is Photoneo – its latest 3D camera to head to market, using the company’s patented parallel structured light technology implemented by a custom CMOS image sensor, is one of those products to make the Vision Awards shortlist. 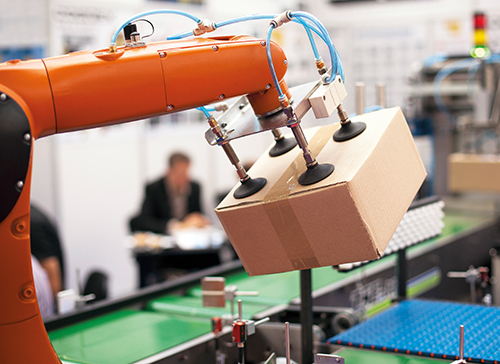 Stephan Kieneke, product manager 3D sensors at Automation Technology, has seen a wider range of applications for 3D emerge, even compared to just two years ago. Teledyne Dalsa’s Boridy says the benefits of 3D imaging are varied. ‘It is mainly used in the inspection of parts, and those parts can be related to industries from food to metal to semiconductors,’ he explained. ‘It is also useful for quality assurance and validations, and very useful for measurements that 2D cannot give us. Often, you need to verify parts or tolerances and you need to inspect if there are parts missing. Henzler concurs. ‘You need a 3D system if you want to measure height or deformations of freeform parts with freeform surfaces,’ he said. ‘There is no way to set up a 2D system that readily detects all the defects of such a part, especially if it’s not just a scratch but a variation of the thickness of the material somewhere on the part – you cannot detect this with 2D. For Puliš, 3D saves time as well. ‘Area scanners can scan the whole pallet at once,’ he explained. ‘So, in 400 to 500 milliseconds you are able to scan the whole area. We use laser projection, which allows immunity to ambient light and is quite fast. Basically, when working with 2D, you need special light, and you really need to calibrate the whole system, which is something that is quite complicated. 3D devices are pre-calibrated and each scanner is pre-calibrated for its volume. Referring to what he says are the four main technological drivers of 3D imaging – laser triangulation, structured light, stereoscopy and time of flight – Boridy believes each has its own strengths and weaknesses, and therefore suitability for differing applications. 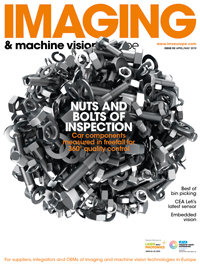 Automation Technology’s C2 series of 3D cameras feature GigE vision interface. ‘In the years before, there was no demand for laser triangulation,’ added Kieneke. ‘Then 3D printing was used for prototyping – even in our companies we have used 3D printers in the last couple of years for designing housings for the sensors. In the past they were produced in Asia – the designer made drafts and we could wait a couple of weeks before even realising if there were mistakes. Now, with 3D printing, it [can] still take days to finish but it is much less than the six to eight weeks. With the technology behind 3D imaging becoming more sophisticated in recent years, has it now reached its pinnacle? Henzler believes not. ‘There are two paths that need to be followed to make 3D systems become more user friendly,’ he said. ‘One is to increase the resolution or field of view. There will be developments in the next few years for high resolution, high fields of view, faster sensors that really can image quickly and precisely. The second part is to make the software and configuration more user-friendly, so that the system integrator or final customer can easily and quickly develop the application or put it into place, to reduce the time to market. I’d like this to be a short-term development; I think it needs to be maybe in the next two years. ‘Often 3D SW algorithms are present just in a programming library, and one has to program everything around. The task is to make that much easier for the system integrator and to be able to configure and calibrate the system and its parameters quickly and put it into place. Especially on the software side, this is an important task because 3D is different from 2D, not just because it’s a dimension more; there are completely different algorithms used to process these images. Puliš expects 3D technology to continue evolving. ‘I think there are still some improvements. This technology has some limitations, when you take into account the amount of spend to light and so on. There are some possibilities but for now, these devices are still quite unique for some applications where robots need to pick something. I think that now there is more demand for this kind of robotic application because there are some problems with labour – there are not enough people. Likewise, Boridy thinks that there is still room for development: ‘3D is going to have more coverage in the future because the technology is growing and getting better and better. More applications will start to use 3D on a lot of applications and complement on others. AI will be part of this future, so will control 3D to do things that were impossible a couple of years ago. The embedded systems are getting better and faster, as well as smaller, lower cost, so all these technologies will enable companies to buy pretty sophisticated 3D systems for a reasonable cost. Something that was difficult to have a couple of years ago. ‘There are a lot of electronic trends,’ said Kieneke. ‘The processors get more powerful with less heat dissipation and less power consumption, because 3D imaging means you need computational power. ‘If you want to put this in a small form factor it gets very hot, so with new architectures and processors, they have less power consumption but are less powerful compared with smartphone processors. This is a trend for embedded vision. They use Arm processors, which have very good power consumption, so there will be a lot more companies entering the market. ‘What’s also very interesting is that really big global companies, like Intel, are interested in the imaging vision market. In the past it was only the consumer market but now they are really entering. 3D imaging was also expensive, the cameras were expensive. Now, big companies offer good price performance ratios, and a real-sense camera is less than $200. Henzler reasons that 2D will not disappear altogether. ‘I don’t think that this will happen,’ he said. ‘A 2D system is much easier to set up, and customers do not expect a 2D system to be metrically calibrated so if you talk about 3D, the initial assumption of the customer is that they get metrically calibrated data. It might not be necessary and you could make use of a 3D system, even if it is not calibrated. When it comes to 3D, for Boridy, the race has already begun. ‘Now it is a question of who can develop the most and best products in a timely manner,’ he explained. ‘Time to market is something to consider and cost is always important – these are the two drivers.